GF Ontario Blog: 15,000 Fans and PatsyPie Giveaway! 15,000 Fans and PatsyPie Giveaway! We have reached a new milestone... 15,000 fans on Facebook! As promised, we are celebrating with another giveaway. My mom use to make scone when I was growing up and I haven't been able to enjoy the fresh baked scone for over 8 years. 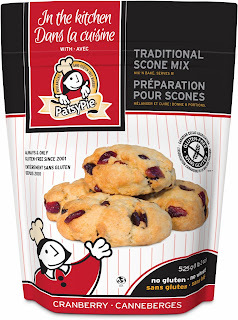 Imagine my excitement when I heard PatsyPie has developed not one but TWO gluten-free scone mixes to please your taste buds - Classic and Cranberry. 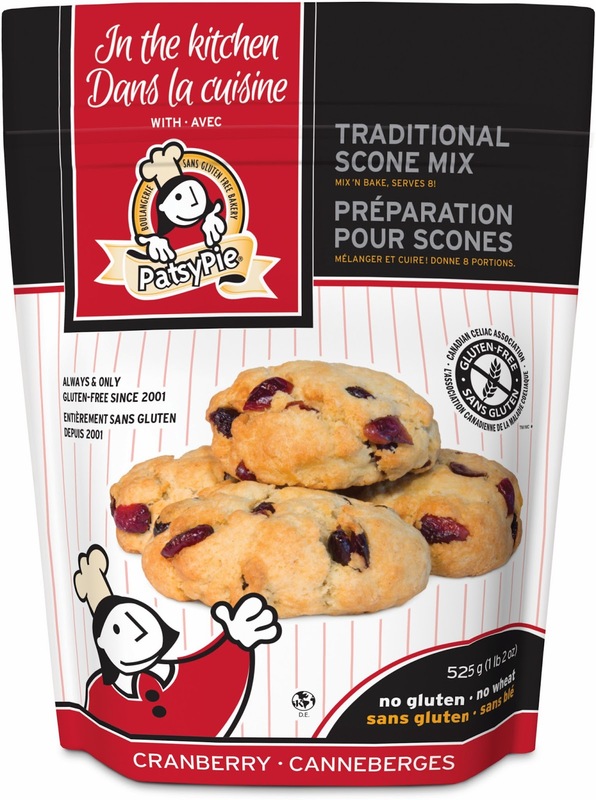 Be one of the first to try PatsyPie's new Traditional Scone Mixes. They are amazing warmed up with a little butter! The winner will get their choice of mixes to fill one case - a total of 8 packages for the winner! Enter this great giveaway below! Congrats and thanks for having another awesome giveaway!!! this is incredible! i've been dying for a scone!! I would love to try the Cranberry Scone Mix most! Yum! Derrien K - the winner of this giveaway - served these amazing scone's at a girl's weekend recently and they are absolutely delicious! I would love to order them for my daughter who has celiac - where can I get them, they're not on the patsypie website?